Last night, at about eight o’clock, I decided that I just couldn’t look at the pages of a book anymore. 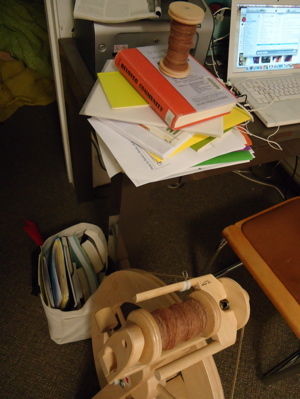 And so I dug out an unfinished spinning project: 3 oz. 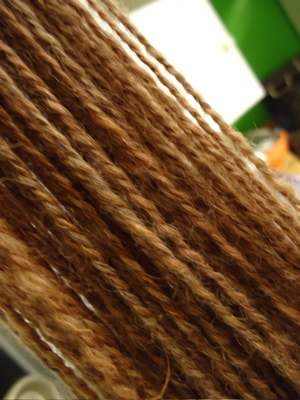 of BFL blend in the Fireside Chat colorway from the AVFKW Woolly Wonders Fiber Club. I’d already spun one bobbin, so I turned on an episode of Planet Money (great npr podcast, which you can find here), and spun the second half of the fiber, albeit a bit thicker in places than the first. 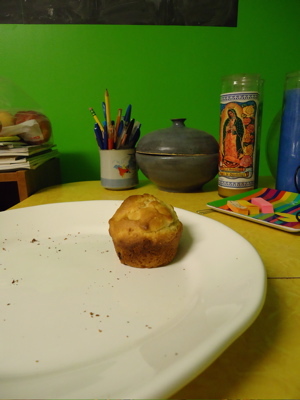 A dozen cranberry muffins – (one rooster reading + one boy writing a dissertation proposal) = one muffin remaining. This entry was posted in kitchen, spinning and tagged 2-ply, AVFKW, baking, bfl blend, caesar salad, cranberry muffins, fireside chat, kitchen, spinning, woolly wonders fiber club by barefootrooster. Bookmark the permalink. I think that poor lonely muffin wants you to eat it. 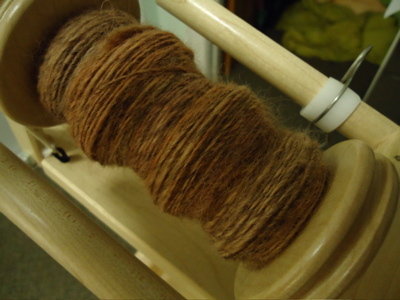 Your spinning looks lovely, too! Looks like you were pretty productive! What a great way to take a break from academic work. Everything looks so yummy, too! 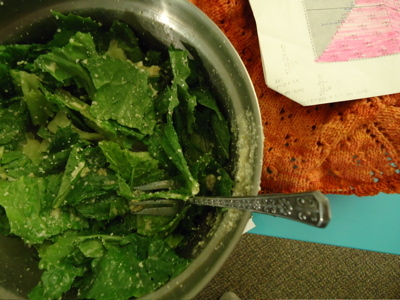 So you are just teasing us with your dad’s caesar salad recipe? ?